Winter Projects Part I: New Wash Station! 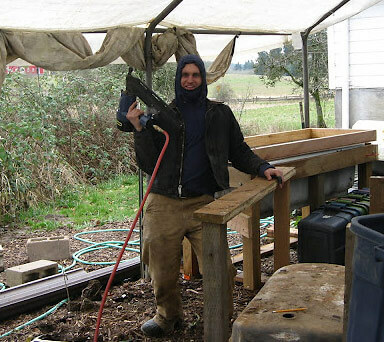 Steve is our wash station Guru, master of the spigot, the hydro captain, “flow-jo” as we call him, and is our head quality control as our veggies move from our field to your tables. He has been pushing for some wash station innovation for some time and we put our heads together and totally revamped the wash station area. We had some old cast iron bathtubs collecting dust in the barn and Steve and Brice put together plans to give them new life. They built some very sturdy frames that would fit the tubs perfectly and then we hauled the beasts on out to the wash station and nestled them down into their new homes. The first one was a huge success so we built two more! The result is a very elegant (i think) and functional new system with much increased washing area, and easy cleanability. 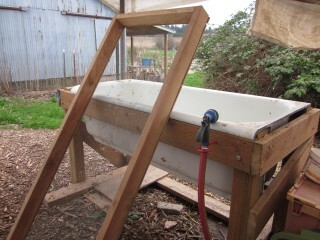 The tubs can work as dunking stations for more delicate things like lettuce and arugula. 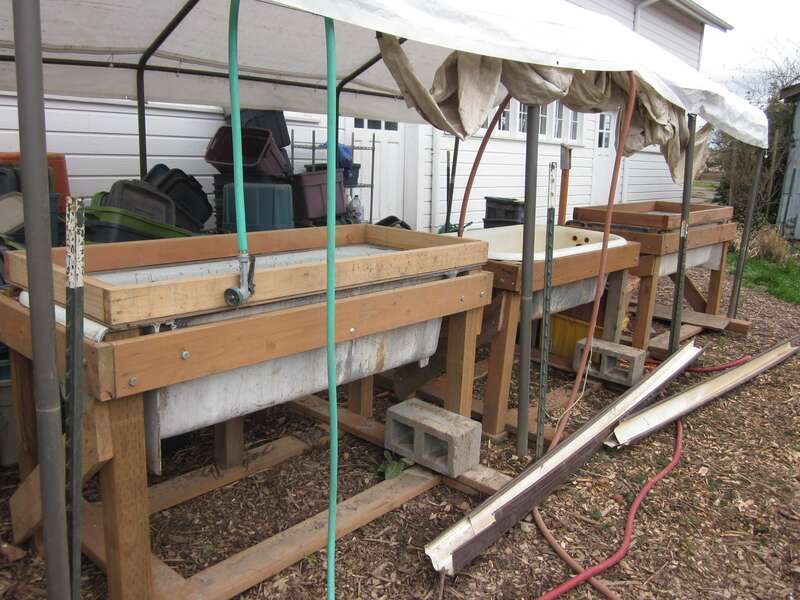 Throw our homemade lightweight screens on top and you have a great root washing setup! Future innovations may include hose fixtures for hands free washing and robots to wash vegetables for us! Just kidding about the robots. Hope everyone has enjoyed last week’s share. Those Yellowfinn potatoes are the best of the best!! See you all next week for more of the winter bounty. 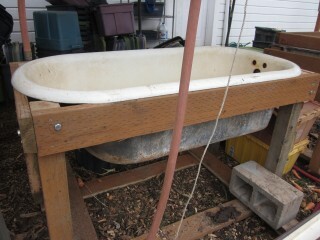 Comments Off on Winter Projects Part I: New Wash Station! 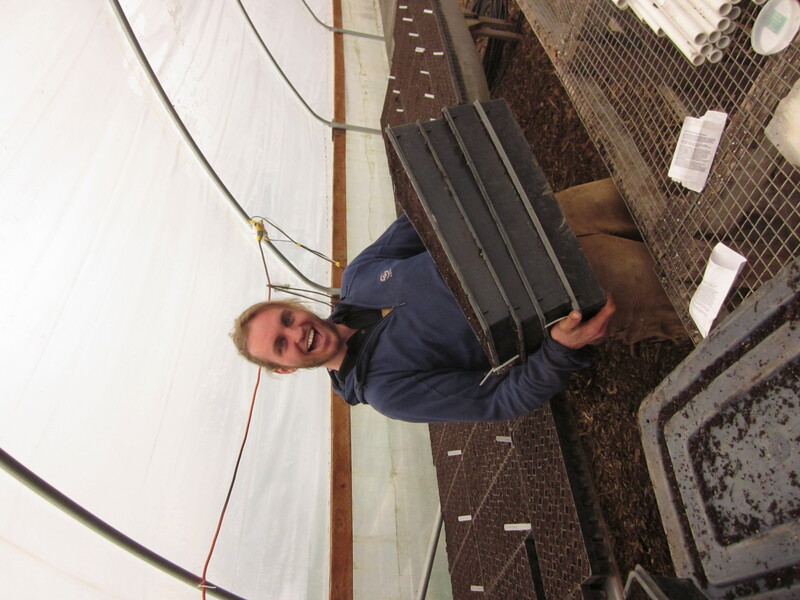 Join us to Volunteer at the Farm!! 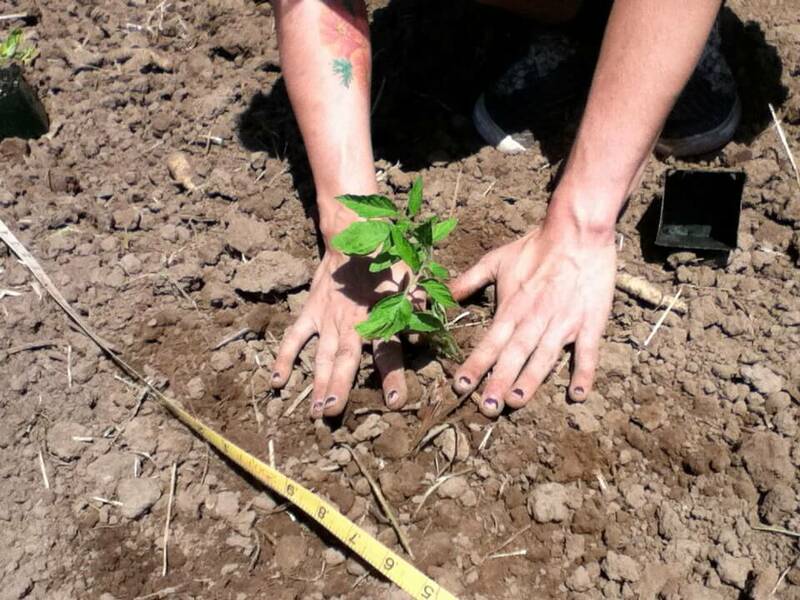 The next Farm Work Party is coming up Sat. September 3rd at Grand Island!! 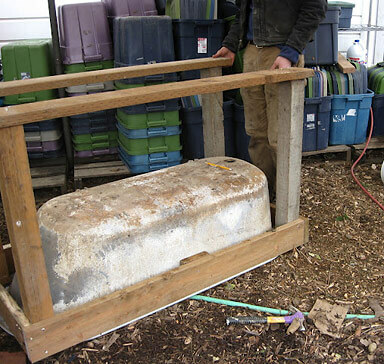 The plan is to move irrigation, do some weeding, and build tables for the new greenhouses. There will be tours of the new farm and you can meet our draft horses Patty & Bonnie. We try to always have jobs and fun for people of all ages and abilities. Hope you can join us!! More info about other volunteer opportunities HERE. 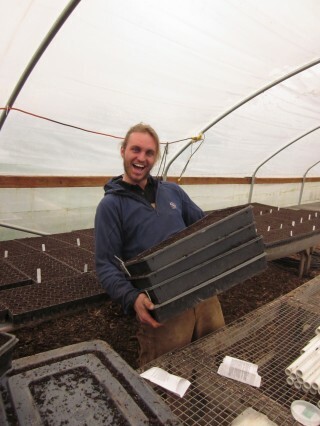 Comments Off on Join us to Volunteer at the Farm! !